We’re based in Cambridge with a staff of more than 50 fantastic people and operate principally in the UK, European and US markets. We are a tech-focused company and work directly with some of the biggest global brands including Google, Amazon, Karl Lagerfeld and Sky. We had a simple goal: save consumers time and money by making broadband switching as simple as possible. We founded Genie Ventures, moving our three staff into our first office - The Old Bakery, off of Mill Road in Cambridge. Recognising a gap in the market, we launched a website where anyone could list spare desk space they had for rent. The first iteration of our bidding machine rumbled into life. It had an immediate impact, fuelling volume and slashing cost of sale. We started to use our in-house paid search technology to power our own shopping comparison sites, such as Crowdstorm. We created Genie Goals with our first PPC client, Amara, which is still with us today. Its PPC revenue had risen 1,529% by July 2017! We acquired a majority stake in Kopi, a disruptive coffee startup. The idea: a monthly delivery of outstanding fresh coffee to your doorstep. With the Old Bakery at capacity and more expansion plans in place, we moved to Millers Yard in central Cambridge (19 staff and counting...). Luca Senatore arrived to run Genie Goals. He has since been named in the Top 5 international PPC experts; and Top 25 most influential PPC experts. We got behind Big Cup Little Cup, a coffee ecommerce startup taking on Nespresso in the coffee pod market. Leading UK furniture design brand Dwell became a Genie Goals client, marking our first big splash in the retail digital marketing space. As the UK's longest standing dedicated broadband comparison site, we were now welcoming more than 1.5 million visitors to the site each year. Having strengthened the Kopi brand it caught the eye of luxury coffee experts Cafédirect, who bought our majority stake. With Millers Yard being redeveloped, we took the opportunity to move across Cambridge to Carlyle House; a space with real expansion potential. With Big Cup Little Cup going from strength to strength, we sold our stake to market leader and sister brand CaféPod. International fashion icon Calvin Klein and American luxury lifestyle brand Shinola Detroit became Genie Goals clients. Covering everything from stress and sleep to workload and sitting properly, our free wellness courses began. 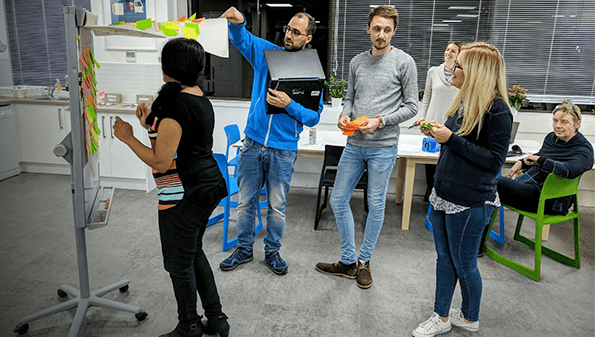 The first new recruits passed through our in-house training academy, covering everything from productivity to PPC skills. Genie Goals continued to grow its reputation as a leading digital agency and retail specialist, adding The Conran Shop and Raging Bull to its client roster. 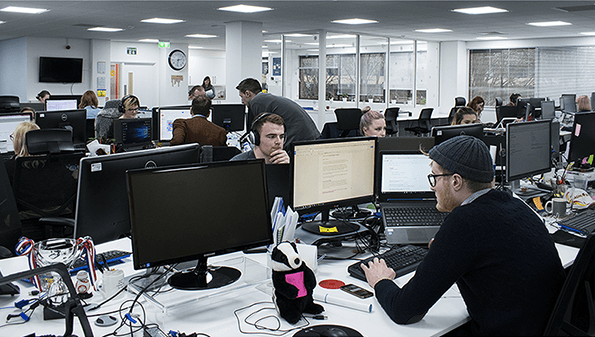 Less than two years after moving in we'd more than doubled our staff number to 50, so moved upstairs to a bigger floor. Karl Lagerfeld, Hackett London & Lindy Bop became the latest high profile Genie Goals fashion retail clients. Genie was named in three of six categories at the EMEA Google Partner Awards, winning the Google Shopping Innovation Award. 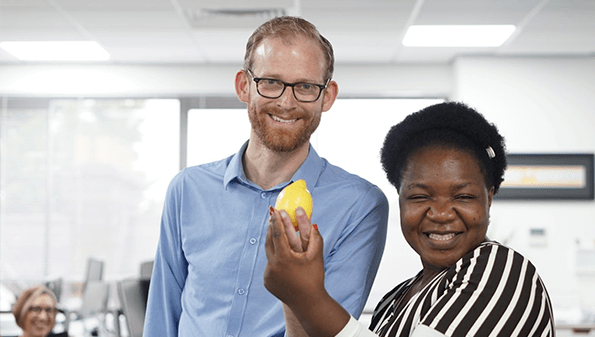 Genie Ventures became proud winners of a prestigious Workingmums.co.uk 'Top Employer' award: an organisation celebrating quality, diversity and flexibility in the workplace. 2018 began with two fantastic achievements. We were named Employer of the Year at the Cambridge News Business Awards, before being given a coveted two-star accreditation from Best Companies. Having launched Genie Shopping Network in March after Google opened its Shopping channel to CSSs, we were awarded Google CSS Partner status. 2018 saw the impressive Genie Goals client list continue to grow, with international retailers including Bestseller, Smythson and Tom Dixon joining the family. Back in 2008 we were a tiny startup working from a converted bakery: now we’re an international business with more than 50 staff and some of the world's top brands as customers, and growing fast. We love the internet and the opportunities it creates – which means we love what we do. 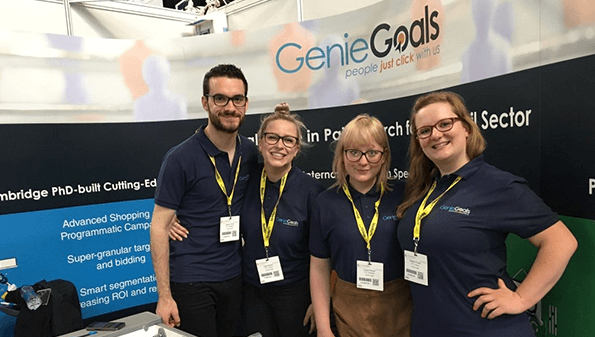 We’ve become experts in our field because everyone at Genie is driven to succeed by their own enthusiasm - and that makes it a fun place to be. We’re encouraged to experiment which creates an infectious sense of ambition around the place – and best of all, it’s a philosophy that’s working.